Here's a guide to sundowning, and how caregivers can help. Sundowning generally occurs in the late afternoon, evening and at night, when seniors with dementia become restless or insecure. Though the causes of sundowning aren't clear, many believe seniors are affected by different stimuli at night and the changes in their bodies' natural sleep cycles. It's also been found that the risk for sundowning can increase with pain, discomfort and other medical and physical problems. 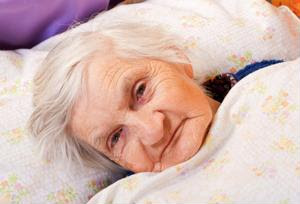 Sundowning can affect the seniors' emotions and cause sleep problems. Providers of elderly home care services should make some changes in their clients' routines to avoid sundowning. Keep clients active during the day and then provide a calmer and comfortable environment at night. Avoid any upsetting activities during the evening, and try to reduce any noisy or bright stimuli in the environment. If the clients are still noticeably more aggravated, restless or disoriented at night, it's a good idea to get help from a doctor who can prescribe medicinal support or give advice.